by Lifeboat Foundation Scientific Advisory Board member George Dvorsky. Soon after the end of the Cold War, U.S. President George H. W. Bush declared that a new era had opened up in which he hoped that his country would become a “kinder and gentler nation”. Fifteen years later his proclamation appears naïve and gushing with idealism, but his optimism was understandable given the times; the Soviet Union had just collapsed with the Eastern Bloc going down with it, and all without a single shot fired from an American gun. The world, it seemed, had been rebooted and started anew. Indeed, economic and cultural globalization quickly ensued, ushering in what we now regard as the post-ideological, post-bi-polar geopolitical era. Democracies and capitalism began to take root in areas completely unaccustomed to such institutions. 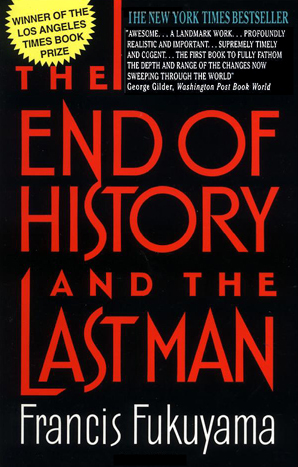 One prominent political theorist, Francis Fukuyama, was so taken by these turn of events that he declared the new era to be the end of history. But things haven’t turned out exactly as hoped or planned. The weight of history is still very much upon us. The events of September 11, 2001 were a wake-up call of sorts, a not-so-subtle reminder that politically instigated catastrophes are still a real and potent threat. In a world dominated by the hegemonic power of the United States, the world was introduced to the muscle of asymmetric agitation. To be sure, today’s geopolitical situation is one in which asymmetric threats  a phenomenon more commonly referred to as terrorism  are taken to be the most pressing security concerns. Yet this is only part of the story. We live in an era in which conventional warfare between two or more combating nations of roughly equal power is all but behind us. Given the political and economic compatibility of so many nation states, the need and desire for war has waned considerably. As Margaret Thatcher once famously said, democracies “do not go to war with one another.” Moreover, conventional war, with all of today’s high-tech tools of destruction, would surely be suicide. As current events reveal, however, wars are still occurring  but to call them such might be a stretch. The situation in Iraq and Afghanistan, for example, are the reactionary spasms of occupation. The current regimes in both countries have been established by the conquerors who are now cleaning up the mess of victory, albeit very poorly and haphazardly. Still, when it comes right down to it, conflicts such as these are still very “warlike” in their composition. And despite the decline in all-out war between nations, hostilities are still happening. There are several key factors that can account for this ongoing problem. First, we still live in an era of the sovereign nation state where war is regarded as the self-justified continuation of diplomacy by other means. Second, there is civilization’s insatiable appetite for natural resources  a factor that creates volatility in those resource rich areas whose governments are politically and economically at odds with those who desire the resources. Thirdly, and related to the first point, there are ideological reasons for entering into war, whether it be the spread of capitalism, “freedom”, religion or totalitarian ideology. Lastly, and the one I now want to shift attention to, war is a means to prevent a state from developing and using advanced weapons such as nuclear bombs and bio-weapons. This last point is a relatively new phenomenon, one that I believe will characterize the 21st century. The dust is finally settling after the collapse of the Cold War and a new era is starting to unfold before us. It is not an era where anyone can afford to be “kinder” or “gentler”, nor will it be an era in which so-called terrorism is the Great Threat (asymmetric threats cease to be asymmetric when the enemy has access to apocalyptic technologies). Rather, the 21st century is revealing itself as the Age of Weapons Containment. There are already strong indicators that this is the case, at least in theory. 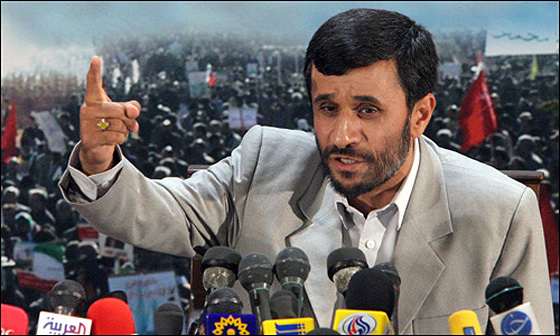 The U.S. justified its invasion of Iraq under the guise of ferreting out Saddam’s illusory weapons of mass destruction. George W. Bush was successfully able to garner support for an invasion based around a seemingly tangible and dangerous threat. Sure, the reason for war was incorrect, but the incident will prove to be an ominous harbinger of things to come  crises that won’t involve red herrings. Since 9/11, the world’s attention has been pre-occupied with threats of hijacked planes and hassles at the airport. At the same time the United States worked obsessively in the Middle East to guarantee its access to oil (an agenda made all the more pressing as China nears superpower status). 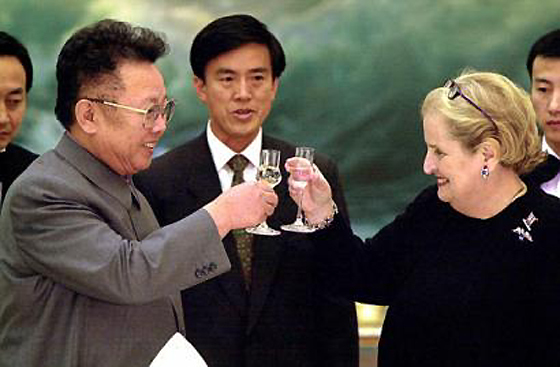 During this time, however, the North Koreans were busy developing nuclear weapons. Now the U.S. and the international community are scrambling to figure out what to do about it. North Korea is truly a “rogue” nation if there ever was one, with a psychologically unstable and malicious leader at the helm. The question being asked the world over is: how do you take nuclear weapons away from a country once it has acquired them? Trying to prevent nuclear proliferation is not easy. The answer is, you can’t. At least not without engaging in a brutal attack that involves nuclear weapons. Frighteningly, the only option may be to allow North Korea to keep their nukes and work to prevent other countries from joining the Nuclear Club. Yet, as the New York Times recently noted, there are at least 40 countries around the world today that have the technological know-how to develop their own nuclear weapons program. The situation seems untenable. And it’s poised to get worse. Weapons technologies are increasingly set to increase in sophistication, destructive power, and most frightening of all, accessibility. Nuclear weapons are the first of an entirely new set of apocalyptic technologies that include genetically engineered viruses, self-replicating nanotechnology and robotics, and even malign artificial intelligence. As a consequence of these potential threats, one of two things will happen on the geopolitical stage: either agreement will finally be made on the establishment of transnational authorities, or nations will react with unilateral violence against potential threats in an effort to contain the spread of dangerous weapons. Unfortunately, it may very well be the latter. The U.S. has already set this precedent by virtue of their invasion of Iraq  an action in which they disregarded the U.N.’s injunctions. While the U.S. worked to prevent the spread of communism during the latter half of the 20th century, they may very well define their 21st century geopolitical role as the country that works to prevent the spread of apocalyptic technologies. Rather than rely on international bodies, countries with the resolve and military might will react with force when a perceived threat hits the radar. As a potential example, does anyone think for one minute that Israel will stand idly by while Iran develops their own nuclear weapons? How long will Japan and South Korea hold out before they take action against North Korea? Iran is already lobbing thousands of missiles at its neighbors through proxies. Will it be allowed to have nuclear weapons? The goal of world federalism seems as far off as ever. The international community cannot get it together and enable the United Nations to solve these situations. Consequently, nations are waiting until situations become untenable and they’re forced to act on their own. Looking ahead to the future, similar revelations will occur when bio-labs are detected in suspicious countries, or as nanotechnology and robotics industries mature. As is the case today, only until the situation looks overwhelmingly dangerous will threatened countries react. It will be an era of reactionary efforts to curtail the development and proliferation of extremely dangerous weapons. But even if transnational agencies can be created, these institutions will still have to face the same issues. Preventing the wide-spread and unchecked accessibility to apocalyptic technologies will redefine the human condition. We may have to live with a multitude of existential threats in perpetuity. This is not a good situation. In the meantime, all eyes are on North Korea. How the international community deals with this crisis will be a very important precursor to how they will deal with even greater threats in the coming decades.